The formation on the left commonly occurs after White plays a wedge on the top. 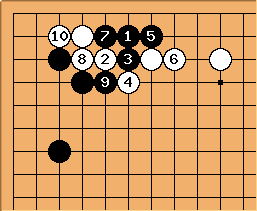 White's stones form a solid base but Black has a tesuji to capture one of White's stones. is the tesuji. 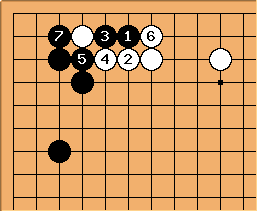 White should give up the stone and take sente with the sequence to . offers strong resistance. 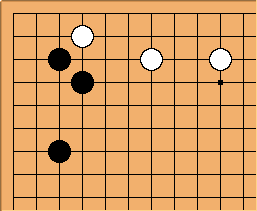 If white keeps resisting with , Black will cut at . start a two-stone edge squeeze. After Black captures everything. 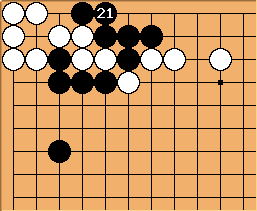 White is clearly worse off than if she had just given up the stone.